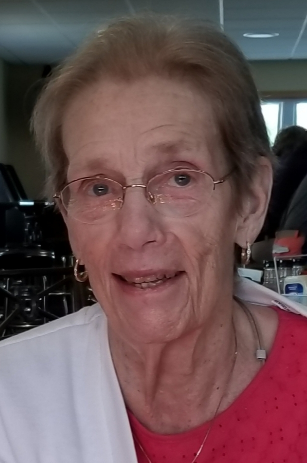 Nancy A. Schmieden, 85 of Elkhorn, WI, died Monday, April 8, 2019 at Aurora Lakeland Medical Center in Elkhorn, WI. She was born August 20, 1933 in Elkhorn, WI, the daughter to the late Chris and Elizabeth (Ketelaar) Jacobsen. Nancy graduated from Elkhorn High School Class of 1951. She worked for State Long Distance for 23 years and Walworth Co. Sheriff’s Dept for 10 years. Nancy married Duane A. Schmieden on April 12, 1969 in Elkhorn, WI. He preceded her in death on March 11, 2003. Nancy was a member of St. Patrick’s Catholic Church of Elkhorn. She was an avid bowler with the White Horse Inn and Abell’s. Nancy enjoyed knitting hats for newborn babies with her church group. She was a former member of the Elkhorn Women’s Club. Nancy also enjoyed spending time in her garden and canning. Nancy is survived by her six children; Susan (Chuck) McKenna of Urbana, IL Allen (Sue) Schmieden of Elkhorn, WI, Karen (Jim Doane) Dawe of Mesa, AZ, Jean (Tim) Ledger of Elkhorn, WI, Brian (Monika) Schmieden of East Troy, WI, and Michael (Debra) Schmieden of Elkhorn, WI, sixteen grandchildren, ten great-grandchildren and two siblings; Donald Jacobsen of Seattle, WA and Jeanette (Harold) Johnson of Woodstock, IL. She was preceded in death by her husband, Duane, daughter, Anne, two sisters; Elizabeth Zukowski and Mary Jane Bromeland, and brother, Walter Jacobsen. Memorial Mass of Christian Burial will be 11:00AM on Monday, April 15, 2019 at St. Patrick’s Catholic Church, 107 W. Walworth St. Elkhorn, WI, with Fr. Oriol Regales officiating. Visitation will be 9:30AM until service time Monday at Church. Private inurnment at Mt. Olivet Catholic Cemetery in Elkhorn, WI. In lieu of flowers, memorials may be directed to St. Patrick's Catholic Church. Online guest book at www.haaselockwoodfhs.com. Arrangements completed by Haase-Lockwood & Associates Funeral Homes and Crematory.